The Supreme Court has said that the Indian Constitution prohibits exclusion of any community or section of people from any place of worship and the constitutional values would prevail over the religious. A five judge constitution bench of Chief Justice Dipak Misra, Justices Rohinton Fali Nariman, A.M. Khanwilkar, D.Y. Chandrachud and Indu Malhotra said that the constitutional provision stops exclusion from any religious place and the constitutional values have to weigh over the religious. Describing the Constitution as a “vibrant and dynamic” document, Justice Chandrachud said that the constitution is not bound by any religious practice. The court said this as lawyers Gopal Sankarranarayanan and V.K. Biju appearing for intervenor justified the prohibition of women in the age group of 10 to 50 years from entering the Sabarimala temple. Sankarranarayanan told the court that Sabarimsala temple dedicated to Lord Ayyappa was open to the people of all the faith, castes and groups irrespective of their religious beliefs. Appearing for intervenor lawyer Usha Nandini, Sankarranarayanan said that anyone who undertakes 41 days ‘Vrathan’ (penance) is entitled to enter and worship and temple was not exclusionary in its approach. “The major problem is you are mixing worshipers’ with temple,” Justice Nariman said as Sankarranarayanan tried to emphasise that people of all faith and beliefs can go to the Sabarimala temple. In a poser, Justice Chandrachud asked what it takes a woman to be a part of Sabarimala. “Is it that I have to undertake 41 days penance to be part of it and my believe in Lord Ayyappa is not enough,” he said. “You could have said 41 days penance (for entering the temple), you can’t keep them out”, observed CJI Misra saying that the concept of pollution that has been associated with women’s body is an impossible condition. Faith in deity is one character of a religious denomination, Justice Chandrachud said, adding the rituals of practice does not become a part of religious denomination. Justice Nariman said that when Sabarimala temple is open to all (people of all the faith), then it does not become a religious denomination. The court said this in the course of the hearing challenging the practice of barring the entry of women in the age group of 10 to 50 years into the temple. The constitution bench is hearing an October 13, 2017 reference by a three-judge bench which had framed four questions to be addressed by it, including whether excluding women (10-50 years) constitutes an essential religious practice and whether a religious institution can assert a claim in that regard under the umbrella of right to manage its own affairs in the matters of religion. 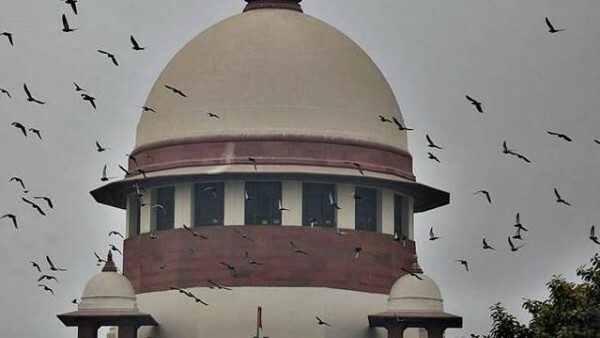 Besides, the court is examining whether the Ayyappa temple has a denominational character and if it was permissible for a religious denomination managed by a statutory board and funded by the Kerala and Tamil Nadu governments to indulge in practices violative of the constitutional principles.